Mark works with communities on issues related to human dimensions of environmental change and natural resource conservation. His background and expertise are in social-ecological resilience and transformations, governance networks, knowledge systems, and climate adaptation. As a Postdoctoral Fellow (with Dr. Sherilee Harper and Dr. Dan Gillis, University of Guelph), Mark is contributing to development of a community-based system for tracking environmental change in order to support wildlife stewardship and conservation. This monitoring system is centered on app-based data collection (e.g. using smart phones and tablets) in order to engage and empower Inuit sovereignty over adaptive responses to environmental change. For his doctoral studies at University of Waterloo, Mark investigated how fishing communities can create or become more engaged in programs to improve livelihoods and ecological sustainability. This work, based in Vietnam, explored questions about fishers’ perceptions of environmental change, how to further engage fishers in co-management networks, and how successes with small-scale fisheries management can be replicated across communities. Natalie Baird is an artist and researcher, using video to explore how changes in the ocean are affecting the lives of Inuit. 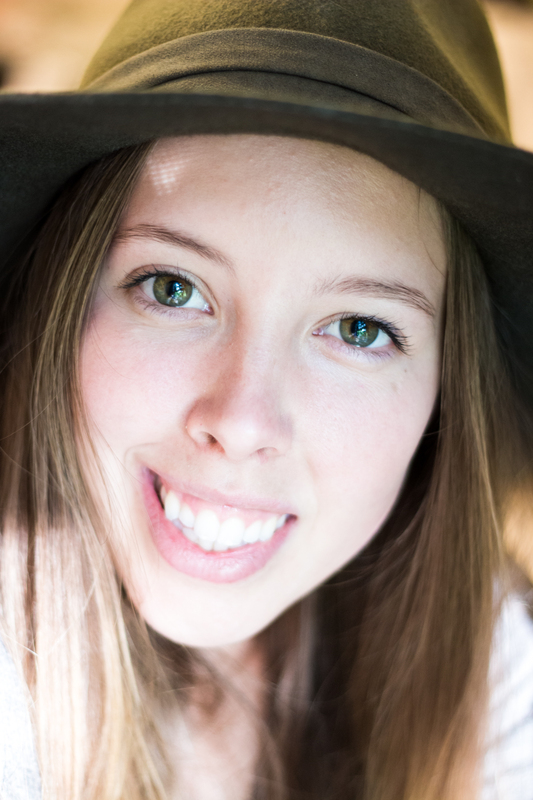 Natalie completed a Bachelor of Environmental Science (Honours Co-op) at the University of Manitoba in 2014, working with Dr. Stéphane McLachlan to investigate the role of participatory video for environmental education in urban, rural and Indigenous communities. She has continued to explore participatory arts-based methods in her master’s, working with co-supervisors Dr. Ian Mauro (University of Winnipeg) and Dr. Stéphane McLachlan. Natalie is working with Pangnirtung community members to document and communicate local and traditional knowledge of social-environmental change. As part of the national OceanCanada partnership, Natalie’s research is contributing to knowledge mobilization that supports coastal communities as they respond to rapid change. Beyond her research, Natalie is an interdisciplinary artist and facilitates arts programming for diverse communities including inner-city youth and seniors living with dementia. Shanondora Billiot (United Houma Nation) is a doctoral candidate at Washington University in St. Louis. She has most recently worked in Washington, D.C., as an international public health analyst for the Department of Health and Human Services’ Office of Global Health Affairs. Ms. Billiot holds an MSW from the University of Michigan (2007) and undergraduate degrees in Psychology and Sociology (2005) from Louisiana State University. She is also a veteran of the U.S. Air Force. Her dissertation will explore Indigenous-specific sensitivities to global environmental change exposure on health outcomes among Indigenous peoples along the Gulf Coast of southeast Louisiana. 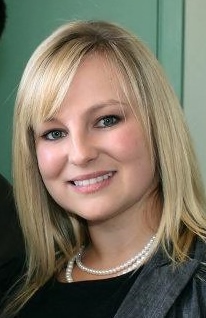 Kate is a PhD candidate at the University of Guelph in the Department of Population Medicine (co-supervised by Drs. Sherilee Harper and Jan Sargeant). She completed an Honours Bachelor of Science degree at the University of Guelph in 2012 in Bio-Medical Science, and a Masters of Science in 2014 in Epidemiology. Kate’s undergraduate research focused primarily on gastrointestinal illnesses with a project on each of E. coli, Salmonella and the link between Johne’s disease in dairy cattle to Crohn’s disease in humans. Kate’s MSc introduced her to EcoHealth. Her thesis was titled: The Impact of Heat Waves in Rural Southern Ontario on Dairy Cow Mortality and Human Emergency Room Visits. Using statistical and epidemiological skills learned in her Masters, Kate is working on a project in Bwindi, Uganda, identifying seasonal and temporal patterns in acute respiratory infections and access to healthcare. Kate is particularly interested in the ability of clinical data to represent vulnerable populations. David is currently pursuing his PhD in the Department of Population Medicine. He graduated with an Honors Bachelor of Arts degree in 2016 from the International Development program at the University of Guelph, winning the Excellence in International Development Studies Prize. On the side of his studies, he worked as a multimedia artist, producing video and photographic content that examined socio-economic and environmental issues. In 2016, he worked with WWF-Malaysia and other conservation groups to published a documentary film about tiger conservation relating to sustainable development in Malaysia. David is interested in continuing to produce research-based multimedia projects that address global health, socio-economic, and environmental issues. As part of his graduate thesis, David will be producing a research-based documentary film regarding the decline in the George-River Caribou Herd and the resulting effects on Indigenous health in Labrador. Under the supervision of Drs. Sherilee Harper and Ashlee Cunsolo, he will be working in collaboration with Indigenous peoples of Labrador to tell the story of caribou from the voices, perspectives, wisdom, and experiences of people throughout Labrador. The film will aim to stand as a testament of traditional knowledge and Indigenous science related to caribou in Labrador, and educate both research and policy regarding caribou conservation into the future. 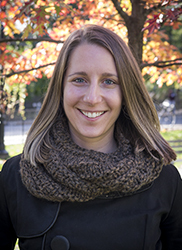 Laura Jane Brubacher is currently pursuing a collaborative PhD in Population Medicine and International Development Studies at the University of Guelph. She graduated with an Honours Bachelor of Science degree in Biomedical Science in 2015. During her undergraduate degree, she worked on a mixed methods project that analyzed health-seeking behaviour in response to acute gastrointestinal illness among the Indigenous Batwa peoples in Uganda, a population that was recently forcibly evicted from their ancestral lands. 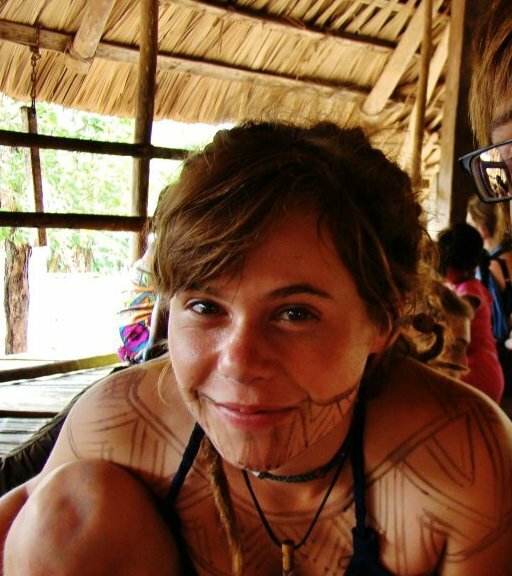 It was over the course of this project that she became interested in the importance of place to Indigenous peoples and its association with well-being. 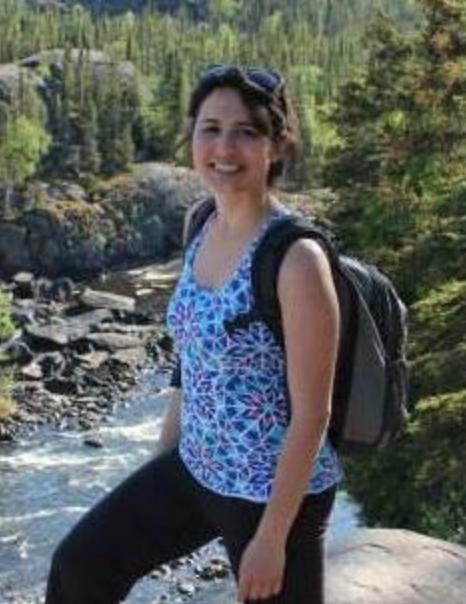 LJ’s doctoral research will involve learning about the centrality of place and connection to the land in Inuit conceptions of well-being, and how this may be associated with individuals’ experiences of healthcare provision. Jen makes her home in Yukon where she has worked and lived for over 25 years. Her experience, both broad and diverse includes working with Yukon First Nations health and social departments and more recently evaluating health impacts of extractive industries. Jen is seeking to conceive a space in which governance mechanisms can conceptualize the relationship between on-going legacies of colonization, Indigenous health and well-being and mining. She is a 2015 Trudeau Scholar and recipient of a SSHRC Graduate Scholarship. Jen is also co-investigator of the Enabling Community Well-Being Self-Monitoring for Yukon First Nations – a multi-year research partnership with the Little Salmon Carmacks First Nation. Jen benefits from the diverse expertise of her advisory committee that in addition to Ashlee includes Sherilee Harper, Ben Bradshaw and Jennifer Silver. Anna is an MSc student in the Department of Population Medicine at the University of Guelph. She graduated from the Honours B.Sc. program in Microbiology at the University of Guelph in 2015. During her undergraduate degree, a co-op work term at the Public Health Agency of Canada sparked her interest in the effects of climate change on health, specifically in Indigenous populations. In September 2015, Anna began her MSc with the Harper Lab (co-supervised by Drs. Sherilee Harper and Karen Shapiro), working to understand the prevalence and sources of foodborne pathogens in country food in Iqaluit, and how these pathogens affect the burden of acute gastrointestinal illness in Inuit populations. Specifically, her work is investigating the pathogens Cryptosporidium and Giardia in clams harvested by Iqaluit residents. Stephanie is a second-year MSc student in Epidemiology at the University of Guelph. She graduated with a Bachelor of Science in Environmental Sciences at the University of Guelph where she started a research project with Dr. Sherilee Harper and Kate Bishop-Williams exploring the burden of chronic gastrointestinal illness in Rigolet, Nunatsiavut. Stephanie developed an interest in how climate change affects water resources during her undergraduate co-op positions. In these roles, she monitored water quality and was introduced to waterborne disease mitigation and public health. Her thesis project aims to determine the prevalence and sources of waterborne pathogens in Iqaluit, Nunavut to explore why the rates of acute gastrointestinal illness appear to be high in this community. This is part of a broader, collaborative project (the PAWS project) aiming to develop a participatory, community-based environmental surveillance system to better understand and monitor pathogens in Iqaluit. Jacqueline is a PhD student in Epidemiology at the University of Guelph. She graduated with an Honours Bachelor of Science degree in Life Sciences from the University of Toronto in 2014, where she completed a major in Human Biology and Psychology, and minored in Environmental Biology. This diverse academic background developed her curiosity in interactions between the physical environment and human health and has drawn her to the field of EcoHealth. In particular, Jacqueline’s time spent as a research assistant in Psychiatry has led to her interest in mental health and well-being in the context of climate change. Through her thesis research, she will contribute to the development of a community-based surveillance program that will monitor and respond to climate change impacts on Inuit health in Nunatsiavut, Labrador, Canada. This work will be done in collaboration with community partners and the Nunatsiavut Government, and will examine how changing weather and climate impact mental wellbeing outcomes and mental health care service provision. Matthew is from Happy Valley – Goose Bay, Newfoundland and Labrador (NL) but recently moved to Mount Pearl, NL. Much of Matthew’s career was spent working on the Muskrat Falls Hydroelectric Project in Labrador however, he left that project in the fall of 2017 to focus on Arctic and Indigenous peoples issues. Since then, he has lived and worked in Norway with the Arctic Council and in Finland with UArctic. In May of 2017, he helped lead a Nunatsiavut delegation to the United Nations Permanent Forum on Indigenous Issues in New York City. Matthew is interested in public health policy in Newfoundland and Labrador and policies surrounding the well being of Indigenous communities involved in or located near major natural resource developments. Matthew has a Bachelor of Arts degree in Political Science and Aboriginal Studies with certificates in Public Administration and Criminology from Memorial University. Also, Matthew holds a Master of Jurisprudence in Energy Law degree from the University of Tulsa, Oklahoma. Matthew is an active Rotarian and has volunteered with many organizations including Habitat for Humanity, Children’s Wish Foundation and the Melville Native Housing Association. Natalie is a Master’s student in Biology at McGill University. Her research interests revolve around current sustainability issues in Canada, and investigation of how the country can transition to a more sustainable use and management of resources. Her research currently takes place in the context of the Sustainable Canada Dialogues/Dialogues pour un Canada Vert – a pan-Canadian initiative working to influence sustainability policy in a way that will encourage positive development and reflect the desires of people living in Canada. Currently, her work involves participatory techniques of visioning and designing pathways to help a range of Canadian communities articulate key characteristics they would like to build into the future, from the local to national scales. Alex is a PhD Candidate in Public Health at the University of Guelph (co-supervised by Drs. Sherilee Harper and Ashlee Cunsolo), where she graduated with an Honours Bachelor of Arts and Sciences degree in 2015. Broadly, she works at the intersection of environmental and human wellbeing. More specifically, her doctoral project is contributing to the development of a health- and environmental- monitoring program that is being led and driven by the Inuit community of Rigolet, Nunatsiavut, Labrador. Alex is passionate about using participatory, arts-based approaches to develop deeper understandings of how changes in the environment impact various dimensions of wellbeing from the perspectives of Rigolet Inuit. In prioritizing the role of land-based relationships in shaping and supporting wellbeing in Rigolet, this monitoring program will help to inform responses for dealing with environmental change that enhances wellbeing in ways that this community values. The need for this program emerged from the many years Rigolet Inuit have spent developing expertise in climate change research and strengthening relationships with members of the research team. Alex is honoured to be a part of this team and to be able to continue cultivating meaningful, lasting relationships – a process that necessarily involves stepping back, listening, and creating spaces that privilege Inuit voices and keep Inuit values at the heart of all conversations, decisions, and actions. Eleanor (Ellie) is a PhD candidate in human geography at McGill University working under the supervision of Dr. George Wenzel. Her research examines the politics of Inuit food security, exploring food as a key site of colonial encounter in Arctic Canada. She is particularly interested in environmental politics and governance; geographies of food and food security; Indigenous politics; and feminist and critical theory and approaches. 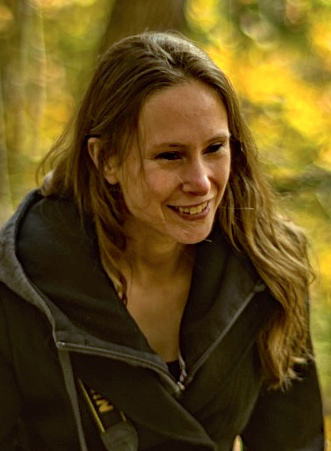 Prior to coming to McGill, Ellie completed an MSc in Environmental Change and Management (2012) at Oxford University, and BA in Environmental Studies and English (2010) at the University of Victoria. Emily graduated from the Bachelor of Science Nursing Honours student from Cape Breton University, and is an incoming graduate student in the Masters/PhD degree in Nursing at Dalhousie University. Her Honours research explored the challenges of remote health care provision within the context of a rapidly changing climate. As a component of a multi-year community-based research project situated in the Nunatsiavut region of Northern Labrador, Canada, her work highlighted the direct and indirect effects of climate change on the ‘three Ps’ – provision, providers, and patients – including the amplification of the already-present challenges in remote health care and the creation of additional challenges related to shifts in climate and environment. Emily has presented her work at several conferences, and currently has an article under peer review. She will be continuing her Arctic health research through Dalhousie University, focusing on Inuit determinants of health and wellbeing in Nunavut, starting in Fall 2015. Amber is a third year Political Science student at CBU minoring in Scottish Gaelic. Her passions include language, culture, community living, Indigenous, human and women’s rights, travel, healthy living and eating, being outdoors and her family. Her studies at CBU have allowed her to focus in on some of her passions including Latin America and Social Justice. Amber has been teaching Gaelic across the province for the last eight years and has been organizing and facilitating the Nova Scotia Gaels Jams for the past three years. In the summers, she works at the Highland Village Museum in Iona Cape Breton, singing Gaelic songs and telling stories. She hopes one day to live in rural Cape Breton amongst Gaels where she can speak Gaelic more often than English. 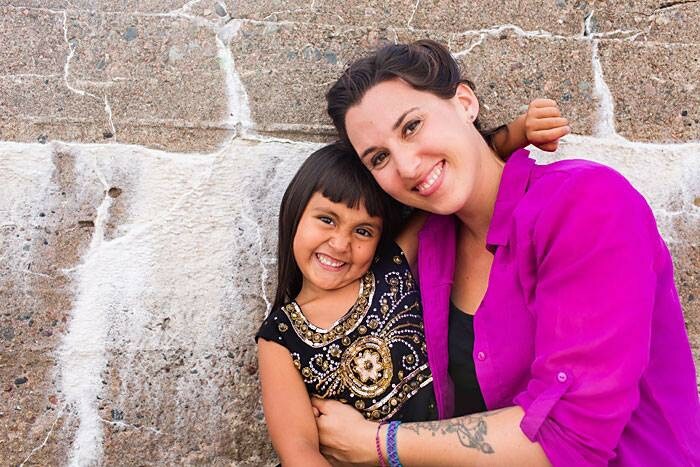 She’s currently co-homeschooling her daughter with the help of her tiny community in South Bar, Nova Scotia. Michelle Carrigan is completing a Master’s in Criminal Justice and Public Policy at the University of Guelph. Before going to Guelph, Michelle worked as a research assistant with Ashlee Cunsolo Willox, working on a systematic literature review on community-based participatory health research. 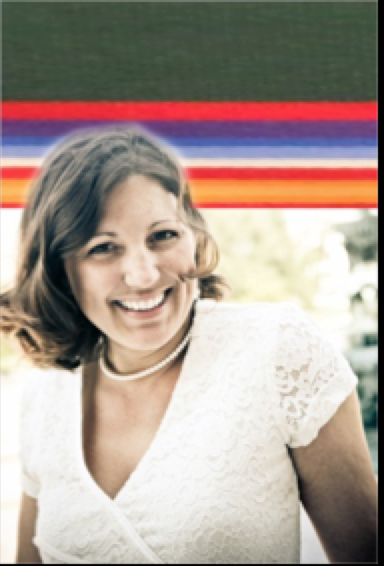 Michelle has a long interest in social justice issues and movements, with international experience in South America. Michelle is currently considering pursuing a law degree. Janine Christmas finished a a Bachelor of Community Studies at Cape Breton University. She is actively involved in her home community of Membertou, and has a deep interest in Indigenous identity, governance, and sovereignty. Lindsay completed her Masters of Science degree in Population Medicine at the University of Guelph. Through her graduate research, Lindsay worked with a diverse team of researchers and knowledge-holders on a Canadian Water Network-funded project that explored approaches to bringing Indigenous and Western knowledges together in water research and stewardship, and led the development of a collaborative podcast to share this emergent dialogue with a wide audience (Water Dialogues). In 2017, she joined The Gordon Foundation as their DataStream Program Coordinator. In this role, Lindsay works with communities and other collaborators to continually grow and improve Mackenzie DataStream, an online, open-access platform for sharing water quality data in the Mackenzie River Basin. Sahar is currently finishing up her MPH at the University of Toronto in Health Promotion with a focus on Global Health and Indigenous Health. Broadly, her research interests involve understanding social, cultural and environmental determinants of community health and wellbeing. For her practicum last summer, she worked in Yellowknife, Northwest Territories looking at mental health resiliency and suicide prevention among Indigenous people across the circumpolar north. She also had the opportunity to design and pilot a creative arts and music workshop with the aim of using arts as an avenue for wellbeing and resiliency among Indigenous youth. For her Masters research project this summer, she is excited to be working on the Climate Change and Health Network (CCH-Net) project, exploring Inuit indicators of health and wellbeing as well as community-based climate-health adaptation strategies within the context of climate change in Nunatsiavut, Labrador. She is particularly passionate about using participatory and creative approaches, like digital storytelling and photography, to spark community discussions on the relationship between environment and health and to develop relevant and engaging knowledge-sharing strategies. Cassidy McAuliffe was an Environmental Visual Communication student at Fleming College in partnership with the Royal Ontario Museum. She recently graduated from Laurentian University with a Bachelor of Arts, majoring in Environmental Studies and minoring in Indigenous Studies. Cassidy is interested in positive environmental reform through the use of media and design, in order to connect environmental research to a broader audience. In addition, she hopes to reframe the dialogue surrounding First Nations and draw attention to the importance of Indigenous knowledge. Cassidy is looking forward to working with the Eskasoni First Nation to share their stories of resiliency, hope and perseverance through visual communication methods. She hopes this project will demonstrate the amazing work the Eskasoni, and First Nations in general, are carrying out within their communities. Mandy completed a Bachelor of Science (Cape Breton University), and a degree in education (University of Maine at Fort Kent) before working as a teacher for several years. She realized her passion for health and the environment while working as an education coordinator at ACAP Cape Breton. In 2013, she enrolled in the BScN program at CBU, with aspirations to work in public health. Currently, Mandy is working to perform a systematic literature review on environment-related mental health issues of emergency and front line health personnel, and is conducting research on the health impacts of migrant work flows on workers and their families in Cape Breton and PEI. Joanna holds a B.Sc. in Environmental Science, Co-op with a major in Environmental Geography from the University of Guelph and completed her M.A. in Geography in 2015. Her Masters research explored youth resilience within a changing climate and applications for climate change adaptation. More specifically, her work focused on youth-identified protective factors that enhance mental health and well-being for Inuit youth in Nunatsiavut, Labrador. Part of this work involved doing a participatory video in Rigolet, Nunatsiavut working with students from the Northern Lights Academy, the ‘My Word’ Storytelling and Digital Media Lab, and Konek Productions. The video created as part of this project is available here. Joanna’s interest in youth and climate change issues stems from an experience outside of academia – in 2009 and 2010 she was part of the Canadian Youth Delegation to the UN Climate Change conferences (COP15 and COP16).